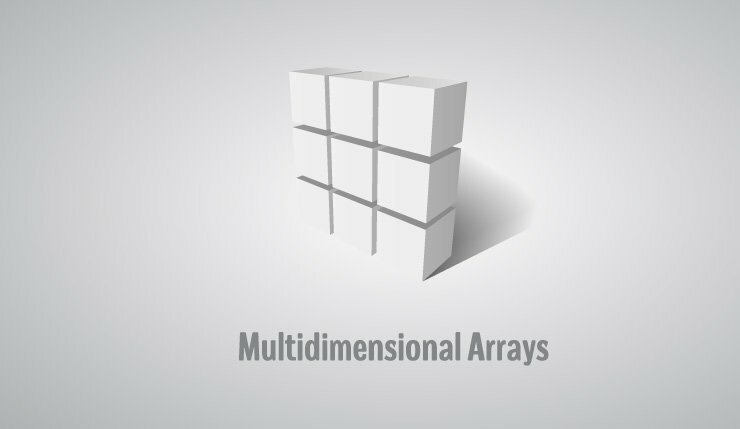 In this article, you'll learn about multi-dimensional arrays in C++. More specifically, how to declare them, access them and use them efficiently in your program. Here, x is a two dimensional array. It can hold a maximum of 12 elements. 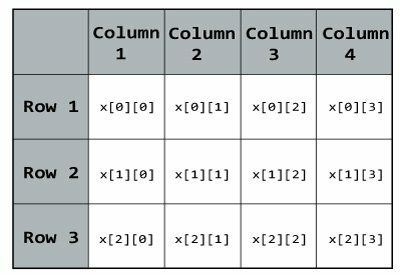 You can think this array as table with 3 rows and each row has 4 columns as shown below. This array x can hold a maximum of 24 elements. You can think this example as: Each of the 2 elements can hold 4 elements, which makes 8 elements and each of those 8 elements can hold 3 elements. Hence, total number of elements this array can hold is 24. You can initialise a multidimensional array in more than one way. Better way to initialise this array with same array elements as above. Better way to initialise this array with same elements as above. C++ Program to display all elements of an initialised two dimensional array. C++ Program to store temperature of two different cities for a week and display it. Enter all temperature for a week of first city and then second city. C++ Program to Store value entered by user in three dimensional array and display it. // using 3 nested for loops. // Displaying the values with proper index. As the number of dimension increases, the complexity also increases tremendously although the concept is quite similar.